The Learning Outcomes for the academy may be found at https://ilprincipals.org/grow/teacher-evaluator-training/. IPA’s training team includes veteran school administrators who have years of experience evaluating teachers as well as developing principals’ evaluation skills. Two of IPA’s trainers were part of the PEAC training development team and many of the resources for the academy were developed by the IPA training team. 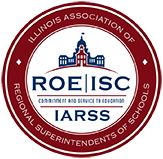 The registration cost also includes a one-year complimentary Aspiring Leader membership in the Illinois Principals Association. Your one-year Aspiring membership will be processed and begin following completion of the two-day academy. Dr. Melanie Brink. Dr. Brink received her Ph.D. in curriculum and instruction from Southern Illinois University – Carbondale. She has served in school administration for the past 7 years. In addition to her current work as a school administrator in the Centralia School District, Dr. Brink teaches graduate courses at McKendree University. She has served in leadership positions at the region and state levels. Dr. 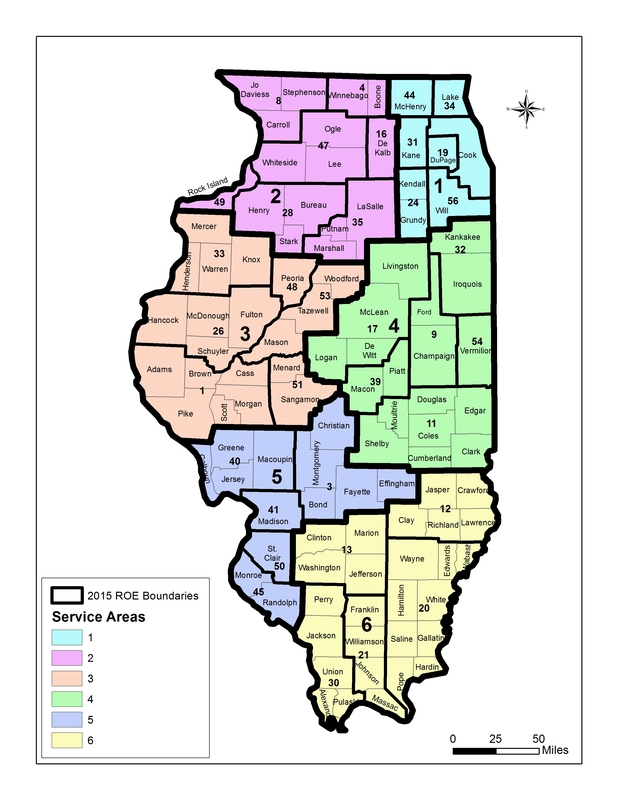 Brink has presented teacher evaluator academies for the Illinois Principals Association on both teacher practice and student growth since 2016 in addition to her work with the Launching School Leaders Network. She is a board member for the Southern Illinois P-20 Educational Alliance, the IATE Executive Council, the Kaskaskia IPA Region Board, as well as the IPA Legislative committee. Dr. 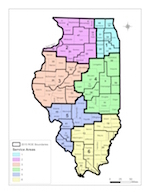 Brink is currently working with the Illinois Principals Association, along with its multi-state collaborative, to author micro-credentials related to leadership coaching and teacher evaluation. Dr. Roger Chamberlain. Dr. Chamberlain received his Ed.D. in educational leadership from Saint Louis University. His dissertation included a study of principals and multicultural education. He is currently a clinical assistant professor of educational leadership and the program director for the master’s degree program in educational leadership at Roosevelt University in Chicago. Dr. Chamberlain has over 34 years of experience in public and private schools with 24 years serving in public school administration from principal to superintendent. In addition to serving as a chair for multiple state policy initiatives, Dr. Chamberlain has been a consultant for P-12 schools and universities on both state and national educational reform projects. He has provided consulting services on a number of high-profile projects at the state and national levels including the Performance Evaluation Reform Act (PERA), university principal preparation program development, EdTPA, and ISBE’s principal preparation assessment design team. He also provides coaching and mentoring support for new principals for both the Illinois Principals Association and Chicago Public Schools. In addition to membership in numerous professional organizations, Dr. Chamberlain has authored numerous articles on teacher effectiveness and teacher evaluation. Dr. Kay Dugan. Dr. Dugan received her Ed.D. degree from National Louis University in Wheeling, Illinois. She currently is employed as assistant superintendent for the Bensenville School District where she serves as the director of English Learner, instructional technology, and gifted and talented programs in addition to evaluating school administrators and lead district teachers. Dr. Dugan has evaluated teachers for over 17 years, has served as a teacher evaluation trainer for the Illinois Principals Association for the past five years and is currently a member of the Performance Evaluation Act Council (PEAC). In addition to her school responsibilities, she also serves as an adjunct instructor for Aurora University. She has presented at the regional, state, national, and international levels. In addition to her affiliation with over 16 professional organizations, she has authored numerous articles, including PERA Journey: Lessons Learned. Dr. Lynda Williams. Dr. Williams received her Ed.D. degree from Roosevelt University in Chicago, Illinois. After 16 years as a classroom teacher, she began her administrative career as an assistant principal, moving on to principal, director of academic programs and then regional manager. After a decade of working in these leadership roles, Dr. Williams became a Chief Area Officer, and later Network Chief in Chicago Public Schools District 299, where she supervised 28 and 39 school principals respectively. During this time, in 2010, Dr. Williams participated in the initial PERA development for the district, and received certification for the teacher evaluation. In 2012 she was certified as a principal evaluator under PERA. In total, Dr. Williams has evaluated teachers and school administrators for 21 years. Dr. Williams’ supervisory approach combines professional learning, coaching, and differentiated support to principals and assistant principals. She has designed and facilitated professional development in the areas of classroom management and instructional leadership. Her development interests have been focused mainly on constructive teacher and principal evaluation, and mentoring aspiring principals. Currently, Dr. Williams serves as an Educational Leadership consultant to school administrators in both elementary and high schools within CPS and suburban districts. She mentors aspiring school leaders and supervises principal residencies while preparing them for the CPS/CLC Principal Eligibility process. In addition, she facilitates workshops for leadership development, classroom management, and strategies for implementing instructional shifts through Common Core State Standards. Dr. Williams coaches in the leadership programs of Teach for America in partnership with Harvard University, National Louis University, and the Illinois Principals Association. In 2016, she became a state-wide trainer for IPA (ISBE) to provide principals with re-certification for teacher evaluation.